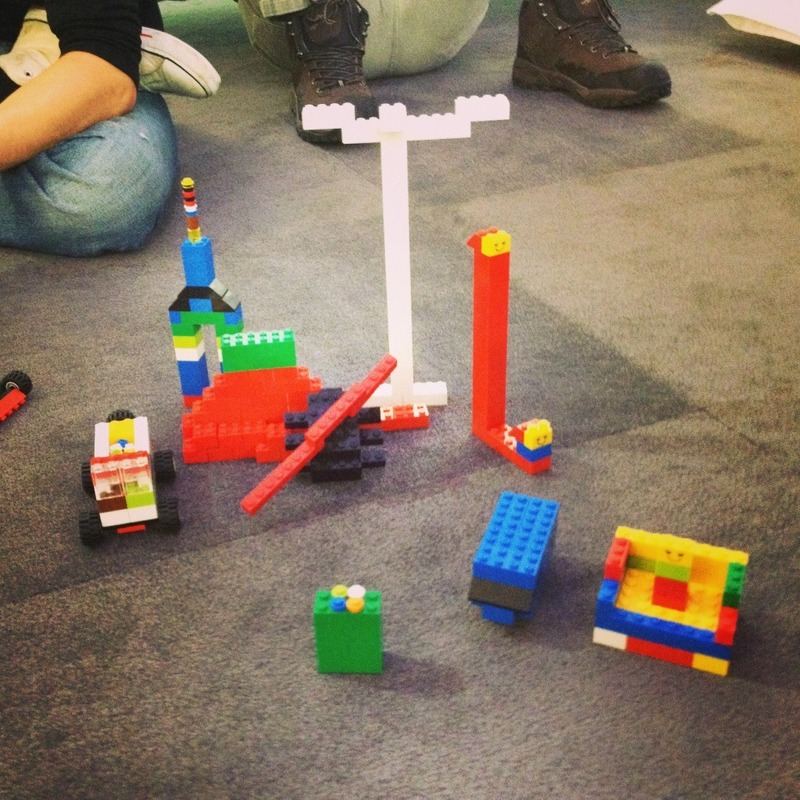 The LEGO® – Retrospective is a quite nice method I tried out with a team in my current company. The reason why this exercise is so exciting is the fact that team members are joining a totally new creative space where they can try out to express their thoughts on an abstract layer. 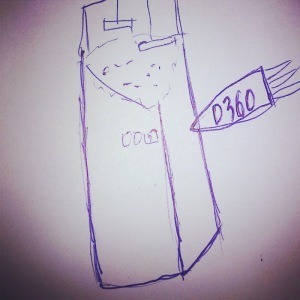 In this post I’d like to share some experiences about this improvised retrospective. 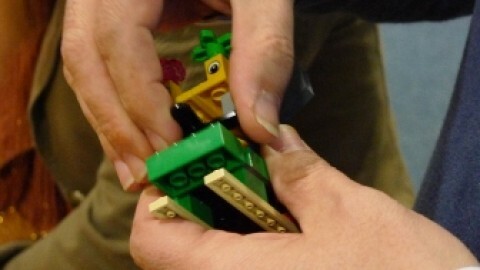 Most of us are familiar with LEGO® – one of the best known brand toys. This game gives team members an opportunity to express their views on an abstract way. It’s valuable because you are able to create the conditions that will allow unexpected and surprising solutions to emerge. One of the best detail is that you create an alternative world, a model world. Therefore it would be good to get out of your daily environment and change it to a creative place which has no “office” ambiance. To set the stage, the team members should agree to abide by the rules of that new space willingly (e.g. prime directive) as it is not a game if people are forced to play. This agreement among all team members creates a safe place where the members can engage in behaviour that might be risky or uncomfortable. 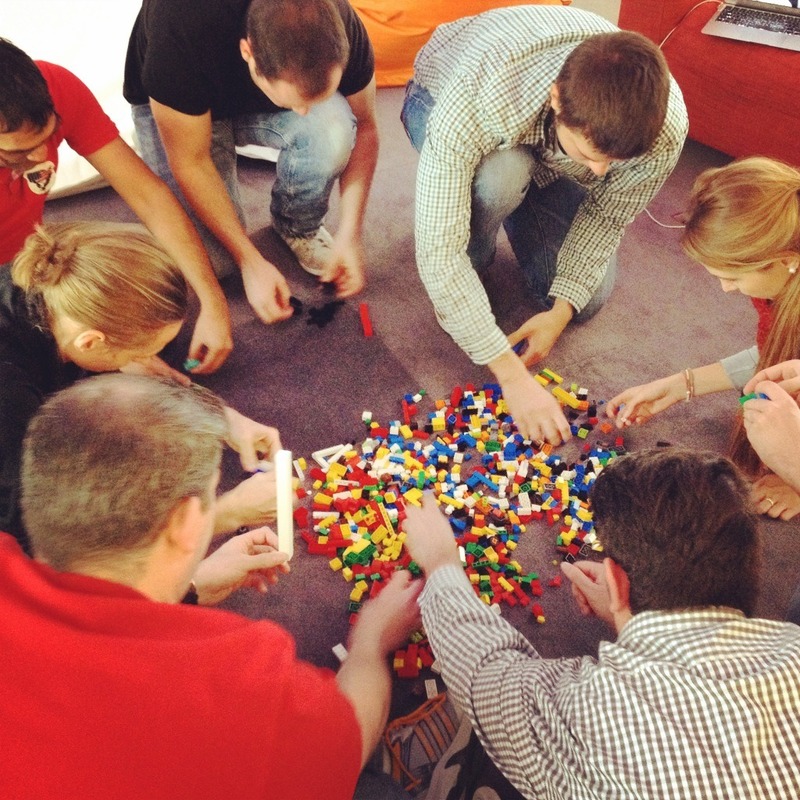 Before you start you should prepare a certain amount of mixed LEGO® – bricks (amount depends on the team size). Tell the members to sit down in a circle and put the bricks in the middle. 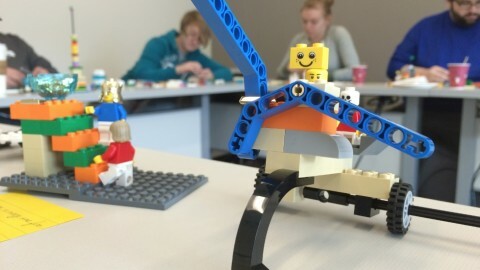 Create a figure out of LEGO® – bricks that reflects the last sprint. Tell them that there are no boundaries and that they can use as many bricks as they need. Give them enough time to get creative and to think about the last sprint. Some will start right away, others might think more. Music can help to make the environment even more comfortable. After all team members finish, give each person some minutes to tell what they want to express with their figure. This technique reveals good and less positive things. Let them start small discussions in order to find out what went well and what worries them. You will give them again 5-10 minutes to think about where they could improve. 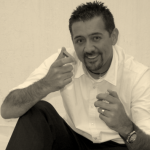 This session might take a little bit longer as the problematic symptoms can be quite obvious but it is not an easy job to find a potential solution. Afterwards, let every person explain his/her figure. Keep track of all information by making it a part of the environment. So once you have the ideas flowing into the room, put them on a wall or next to their figures. 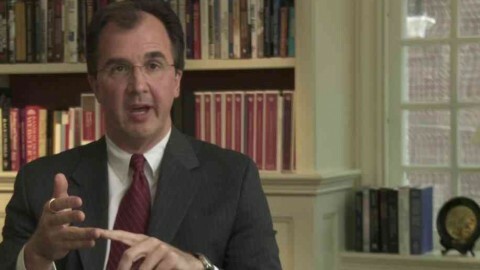 In the final act you want to move toward conclusions – getting closer to the actions and the next steps. Discuss with the team how they can continue to practice what was written down and come to actions that the team will do. This game can be used in different ways. So if you don’t have all team members in one place, you can also use some white paper and ask the persons to draw! 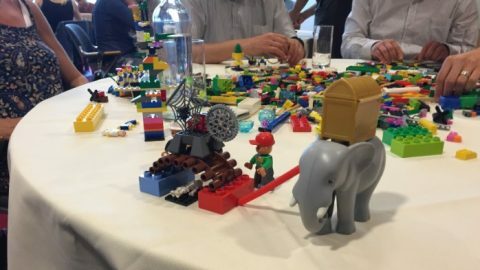 The feedback from the attendees was quite positive, the main statement being that you get a quite different look on the past sprint, when you try to build it physically. 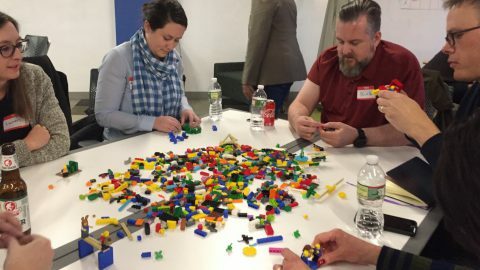 Playing with LEGO® in an agile environment is actually nothing new. 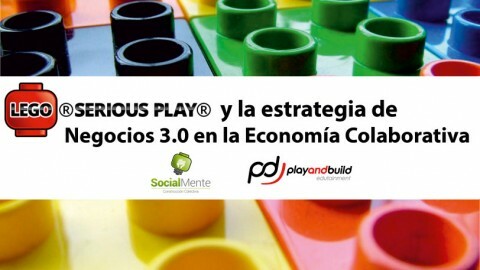 LEGO SERIOUS PLAY for instance is an innovative, experimental process designed to enhance innovation and business performance. 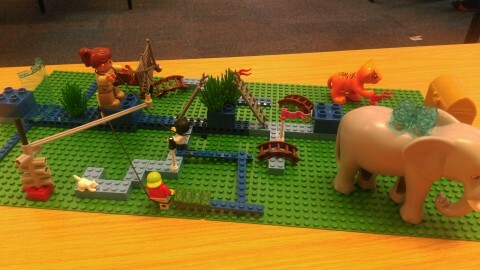 After my first LEGO® Retrospective I had a bunch of new ideas how to improve so I will evolve it the next time. I’ll keep you up to date :) Feel free to use part of this retrospective. I would love to hear how it went. Thanks for sharing. It definitely boosts the flow of information coming from the team during a retrospective meeting. Congratulations. I have had distributed teams on different locations and working under the SCRUM framework, in that case LSP becomes difficult to use.